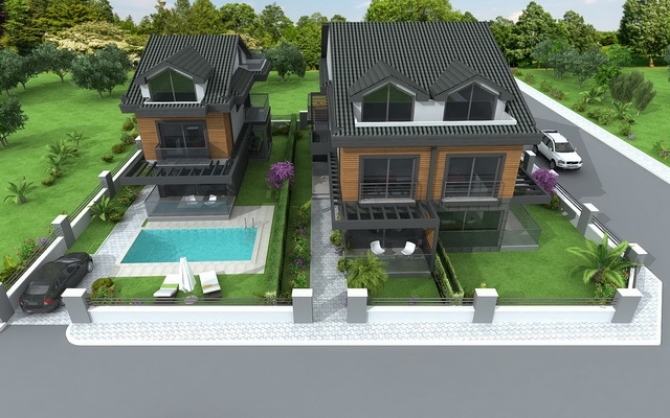 Only 200 metres to Calis Beach, these 4 off plan Calis Villas will certainly be one of the most desirable seaside villas in Fethiye, Turkey. 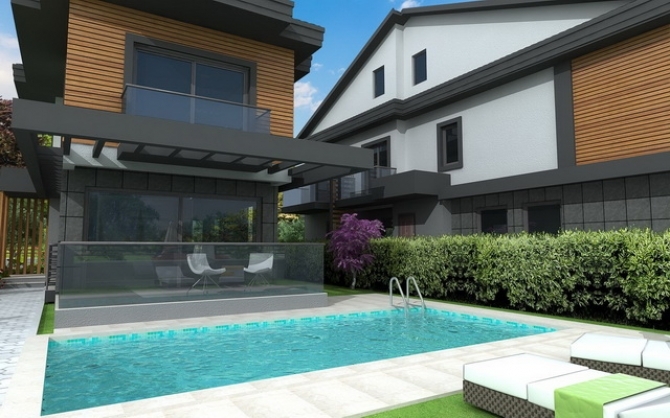 There is one detached private villa with it's own pool and three town house type villas with private enterence, ample garden space and spacious accommodation. 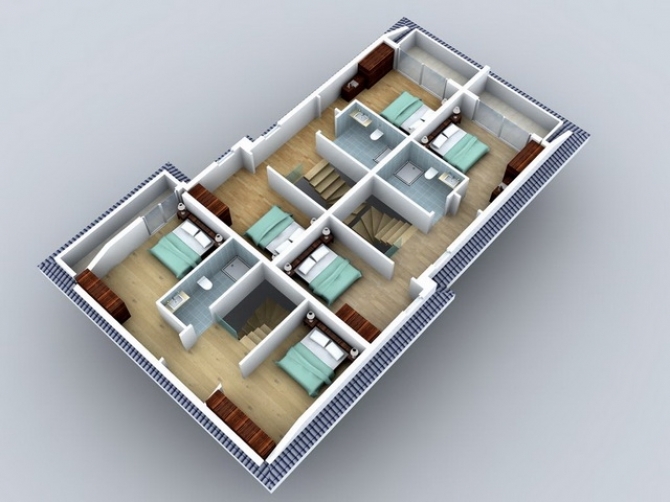 Besides being a great holiday home, these properties are also suitable for permanent living. Calis is not only a holiday resort, but also a proper town itself with a busy local life all year. 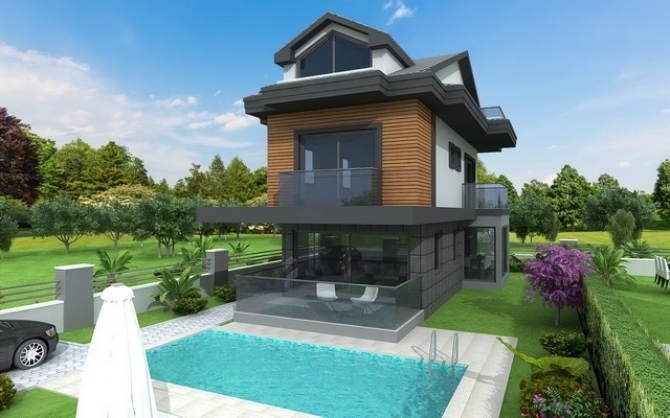 Detached Villa with pool-base price 1450,000TL. Ground floor: Separate kitchen and dining area, Open plan lounge leading onto the garden terrace overlooking the private pool / garden. Downstairs bathroom. 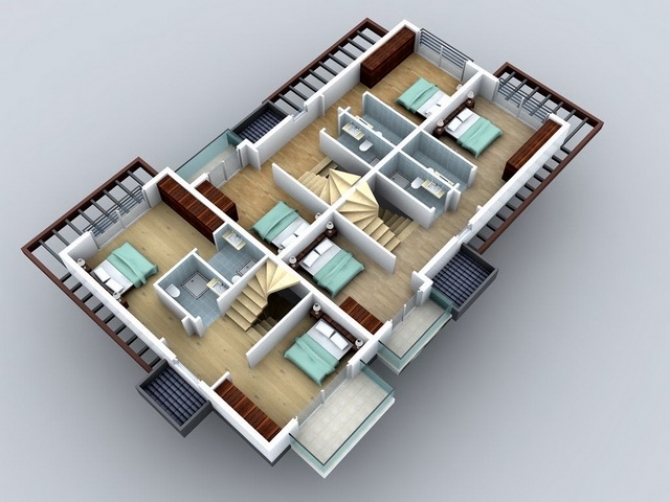 First floor: Hallway, Two Double bedrooms with balconies, Master with En-suite bathroom ,Family Bathroom. 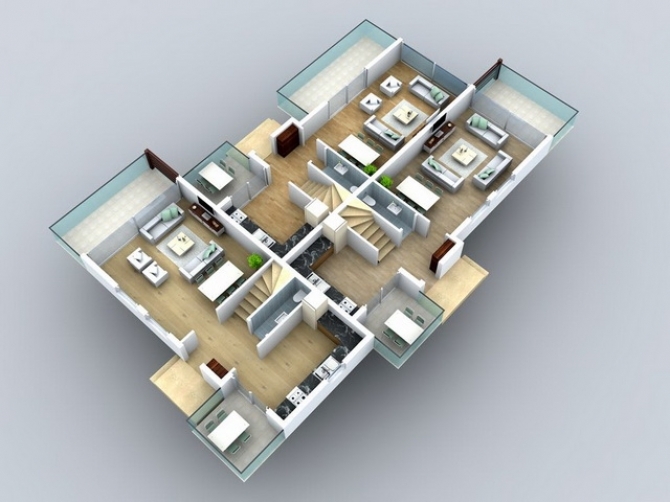 Top floor: Hallway, Two Double bedrooms ,Roof Terrace ,Family Bathroom.